Doors hang off their hinges. Cupboards have been emptied onto floors, walls and windows are pitted with what appear to be bullet holes. A statue of Nnamdi Kanu, the leader of the Indigenous People of Biafra (IPOB), is missing a hand and an arm. Mr. Kanu’s family compound in Umuahia, the sleepy capital of Abia state in south-eastern Nigeria, was raided by soldiers on September 14th. His brother, Emmanuel, claims 28 people were killed and says he has not heard from Mr. Kanu since. The army denies the raid even happened. Meanwhile, Mr. Kanu, who was charged with conspiracy to commit treason two years ago, failed to attend a bail hearing on October 17th. His disappearance illustrates how the unhealed wounds of Nigeria’s brutal civil war have been reopened in recent years. That conflict, which was fought between the breakaway Republic of Biafra and the Nigerian state, resulted in the loss of more than a million lives between 1966 and 1970. Separatist sentiment, which lay largely dormant since then, has started to simmer again, as people with no memory of the war have come of age and been seduced by the idea that the region is not getting its fair share of spending. Helping to fuel that anger is Radio Biafra (named after the original republic’s station), which was relaunched by Mr. Kanu and has pumped propaganda to Nigeria from its London base since 2012. 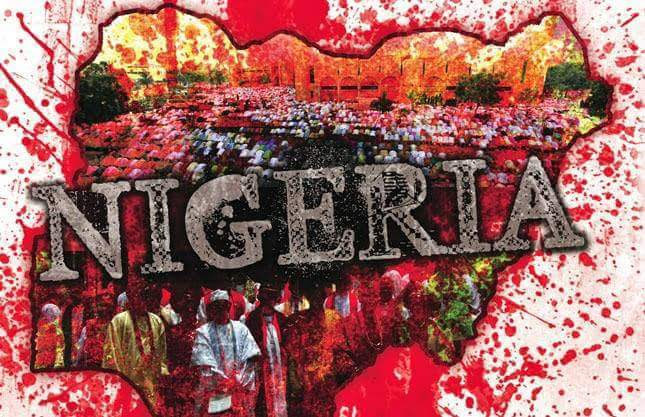 Yet separatism has also been fuelled by the deadly response of the Nigerian army to even the slightest hint of resurgent nationalism among the Igbo, one of the country’s three main ethnic groups, who live predominantly in the south-east and formed the core of Biafran separatism. The army has shot and killed protesting IPOB supporters on several occasions. It is not clear how many supporters IPOB has, but Mr. Kanu attracted huge crowds to his family residence after his release on bail in April (despite the bail conditions stipulating he should not hold rallies or be seen in a crowd of over ten people). The government has resorted to an even firmer hand. In August Muhammadu Buhari, Nigeria’s president and a stern former military dictator said that “Nigeria’s unity is settled and not negotiable.” In September the government sent in the army on “Operation Python Dance II”, which sought to tackle “violent agitations by secessionist groups, among other crimes”. One of its first acts was to attack an office in Abia belonging to the Nigerian Union of Journalists and to smash reporters’ equipment. The government also declared IPOB a terrorist organisation. The group says it is not violent. The government’s response may, however, be feeding the resentment that first led to an upsurge of support for IPOB among Nigeria’s Igbo. “It was as if the approach of the government labelled every Igbo man a member of IPOB,” says Sam Hart, an adviser to Abia’s governor (who is from the main opposition party). The perception of the army as a northern institution, and the fact Mr. Buhari is from the north (there has not been an Igbo head of state since the military government of Major-General Johnson Aguiyi-Ironsi in 1966) has compounded many Igbos’ feelings of alienation. Many also refer to comments made by Mr. Buhari in 2015, when he said that constituencies that gave him 5% of the vote (mainly those in the south-east) cannot expect the same treatment as those that gave him 97%. The army may have cut off the head of the Biafran separatist snake for now. But until Nigeria cleans up its public finances so that its various ethnic groups can see how much money it raises, and where it is spent, resentments will simmer and the appeal of Biafra will remain.